Are you looking for culture tours in Pakistan? Stop here! With centuries old history, Pakistan has a cultural heritage that is difficult to compare with other countries. Steeped in history and culture Pakistan is home to some unique cultural heritage in the sub-continent. Cultural Tours to Pakistan are a wonderful way of discovering Pakistan, which is rich in history and culture. You can choose to visit various architecture masterpieces that are built over a period of time in the past or can travel to cradle of the Indus Valley Civilization to Harappa and Mohenjo Daro. If the monuments reflect the art and craft of the rulers who ruled Pakistan in different period in history, the archaeological sites reveal the pre historic culture that was prevalent during the Indus Valley Civilization. Cultural Tours in Pakistan are like traveling from one period in history to another. An avid traveler to Pakistan can easily understand the influence various rulers had on the culture of Pakistan. If one finds the imprints of the Mughal architecture on various mosques and gardens, there are buildings and structures that proclaim their British antecedents. Cultural Tours to Pakistan is wonderful way of learning about the rulers and their impact on the society in general. Pakistani cuisine is yet another interesting part of rich Pakistani culture. As some of the Pakistani dishes are inspired by the Mughlai cuisine brought in by the Mughals. The society and culture of Pakistan comprises numerous ethnic groups: the Punjabis, Potwaris, Kashmiris, Sindhis in east, Muhajirs, Makrani in the south; Baloch, Hazaras and Pashtuns in the west; and the Khiwar, Wakhi, Balti, Shinaki and Burushaski communities in the north. 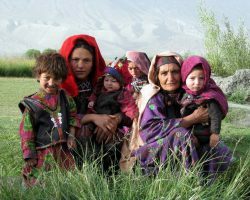 The culture of these Pakistani ethnic groups have been greatly influenced by many of its neighbours, such as the other South Asians, Turkic peoples as well as the peoples of Central Asia and West Asia. The region has formed a distinct unit within the main geographical complex of South Asia, West Asia the Middle East and Central Asia from the earliest times, and is analogous to the position of Afghanistan. There are differences among the ethnic groups in cultural aspects such as dress, food, and religion, especially where pre-Islamic customs differ from Islamic practices. Their cultural origins also reveal influences from far afield, including China, India and Afghanistan. Pakistan was the first region of South Asia to be fully impacted by Islam and has thus developed a distinct Islamic identity, historically different from areas further east. Enjoy the Balti Culture in Pakistan!